The group BANK made artworks and exhibitions collaboratively from 1991 until 2003. Simon Bedwell was a co-founder and longest-serving member of the collaboration. 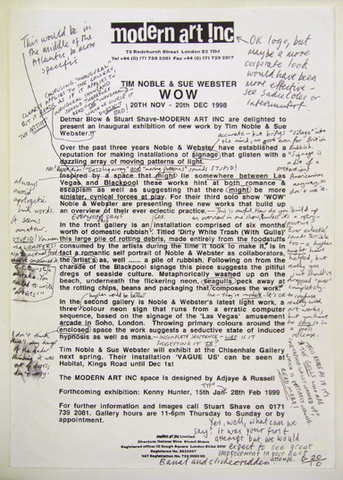 One of BANK'S best-known projects was Fax-Back, in which gallery press releases were written upon by the three members of the group, then faxed back to their originating galleries.